From guitars, amps, drums and cymbals to keyboards, DJ and live sound equipment and recording gear, our stock is far-reaching, and includes something for every budget. We also buy and trade, which allows us to offer the biggest selection of used gear in southwest Missouri. Additionally, we have a full time expert guitar tech on hand, and we even have free recording-made-easy classes every Saturday morning, so you can be laying down tracks of your own music in no time. To learn more about what we have in store for you, feel free to call us at 417-885-1106. Or, swing by in person at 3500 S. Glenstone Ave. We'll gladly answer any questions you have. Our private lessons in guitar, bass, keyboards, and drums are available in 30 and 60-minute sessions with flexible scheduling, so you can progress at your own pace. Maybe you'd rather be the instrument - in that case, come learn more about our singing lessons. And those are only scratching the surface of the unique services at Guitar Center Lessons in Springfield, which also include jam sessions, recording lessons, group lessons and more. Want to know what it's like to be in a band? Ask us about our Rock Show program, which connects you with other musicians at your skill level to get the full experience. Guitar Center South Springfield provides comprehensive guitar repair services for the Springfield area. Our repair technicians are as passionate about your guitars and basses as you are, and we have the experience needed to keep them performing at their best. Whether you need a quick adjustment to make your guitar easier to play, or a complete guitar rebuild, we have the tools and know-how to take care of your instrument. Guitar Center South Springfield can also help build a maintenance plan that fits you and your guitar or bass needs, including custom setups, restrings and more. We also take care of fret repairs, hardware and pickup installations, upgrades and customizations, bone and graphite services and more. Located in the Primrose Shopping Center on the south side, Guitar Center Springfield has played an important role in the local music scene ever since we first opened our doors in 2007. 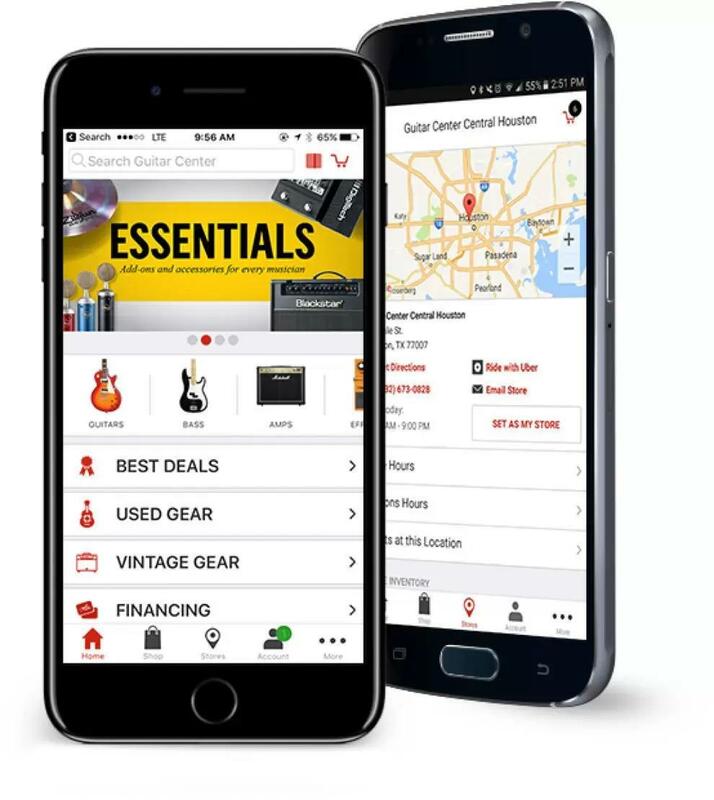 Boasting an impressive selection of new and used musical instruments, accessories, and pro audio gear, there's something for every taste and playing style at Guitar Center Springfield. In fact, our certified staff of professionals are proud to help you find everything you need, and also give you some suggestions along the way to make your decision easier.Whether it's a massive sale on top brand name instruments and equipment, or an in-store event featuring national recording artists, there's always something interesting going down at Guitar Center Springfield. Simply put, we strive to be a one stop shop for musicians from all walks of life, and after one visit, we think you'll agree that we succeeded. Come on by and see for yourself! We're open seven days a week, so you'll have no problem fitting us into your busy schedule.